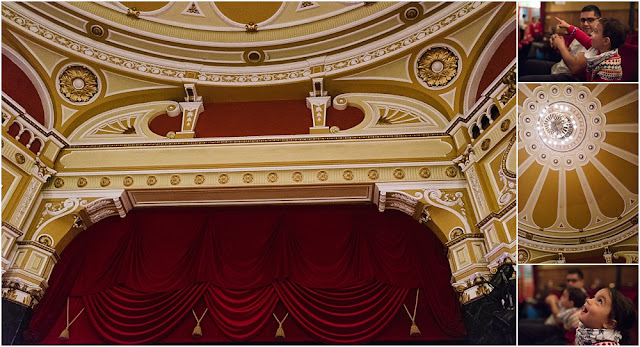 We were invited along to Devonshire Park Theatre last week for the twins' first ever theatre trip to see The Hunting of the Snark, based on Lewis Carroll's poem. The theatre was easy to get to and we managed to park right outside on the street (it's free after 6 but we were there in time for the show at 5pm so it was £2). Priya was in awe inside the theatre, she loved the "flower" ceiling and kept oohing and aahing. We got them booster seats so they were able to sit in their own seats and still see. I was surprised by just how entranced they were when it started. It was the perfect length at just over an hour as they were starting to get restless towards the end but they loved it, they really got into it shouting and clapping at the right parts. The songs were great and there were a few funny moments for us parents too. It was a great adventure, Kalyan was still talking about the Snark's eyes all the way home in the car! 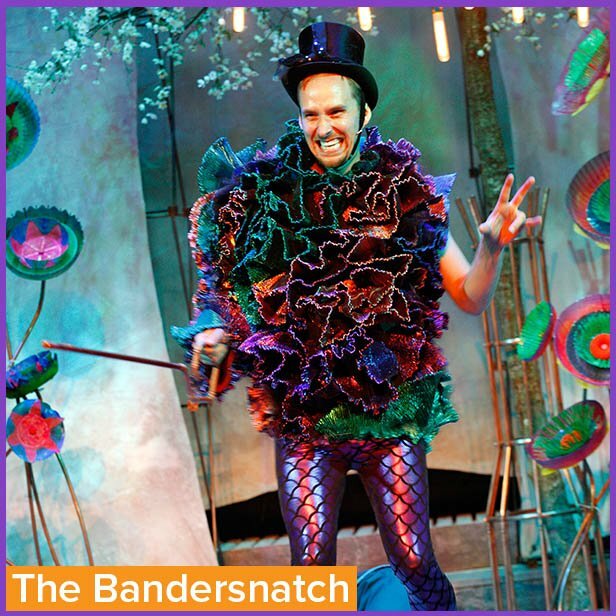 My personal favourite was the Bandersnatch, his costume was amazing and I loved his song! And I did love the Butcher as the baddie who wanted to eat everything too. The cast of five did an amazing job with some of them playing multiple characters and the set design was simple but effective as the backdrop of London, the ship and Snark Island. I was a bit apprehensive going with two 3-year-olds but they were so well behaved and loved it, I'd definitely recommend Hunting of the Snark as a great show even for pre-schoolers, so much fun! Priya didn't want to leave afterwards and went all three-nager on us, plonking herself down outside! We received free tickets to the show in return for this review but as always, all opinions are our own and honest. Eastbourne Theatre's Hunting of the Snark! New adventures with Uckfield FM!